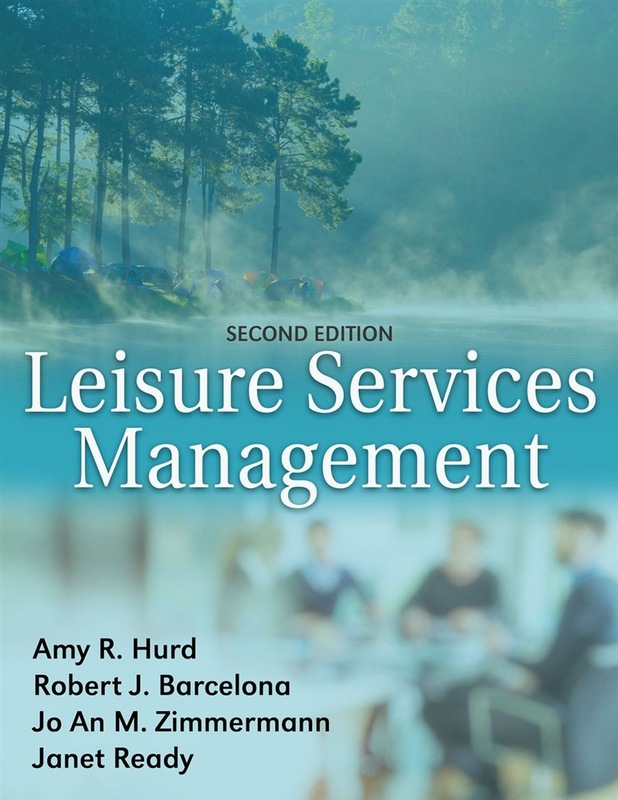 Leisure Services Management, Second Edition, prepares students for the challenges they’ll face as entry- to mid-level recreation and leisure managers. The book outlines the essential knowledge and skills that successful managers need to have and helps students build those competencies by encouraging them to think as managers. The text’s activities, projects, and examples help students connect the competencies to real-world situations. Leisure Services Management begins by presenting a firm foundation of competency-based management. Students will learn what management is, what the manager’s role is, and how their work affects their agency and their customers. They will also explore specific management areas such as marketing, financial management, human resources, employee development, communication, and evaluation. Throughout the text, students will be encouraged to apply their own experiences to the concepts being discussed to deepen their understanding of the profession. For each chapter, the authors provide experiential learning activities that simulate real on-the-job situations. Each of these activities asks students to assume one of the many roles of a new manager. They’ll learn to deal with day-to-day management activities by completing work assignments and projects similar to those they’ll assume as a manager. The activities will help students develop the competencies they’ll need in order to meet the challenges of this evolving field. New to this edition of Leisure Services Management are the following student-friendly features: Updated sidebars in which professionals in the field offer early career advice for future managers Real examples from all three sectors—public, nonprofit, and commercial—giving a broad perspective of parks and recreation, tourism, sport, therapeutic recreation, and outdoor recreation International perspectives and examples, encouraging students to think globally Information about the exam for becoming a Certified Park and Recreation Professional (CPRP) The text also includes a web study guide, which includes links to sample forms from the actual files of leisure managers to assist students in understanding and using important management tools. With an overview of key concepts by chapter, detailed case studies, a glossary, and a competency scorecard, the web study guide will help students build their knowledge of the content area, apply the information learned to their current work environment or a future internship, and prepare for future certifications. The competency-driven approach of Leisure Services Management, Second Edition, assists readers in gaining the knowledge and practicing the skills needed to begin a career in leisure management. Bolstered by the practical information in this text, new managers can contribute to the success of their organization as they enjoy the challenges and rewards of their new position. 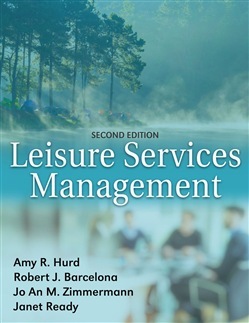 Acquista Leisure Services Management in Epub: dopo aver letto l’ebook Leisure Services Management di Robert J. Barcelona, Amy R. Hurd... ti invitiamo a lasciarci una Recensione qui sotto: sarà utile agli utenti che non abbiano ancora letto questo libro e che vogliano avere delle opinioni altrui. L’opinione su di un libro è molto soggettiva e per questo leggere eventuali recensioni negative non ci dovrà frenare dall’acquisto, anzi dovrà spingerci ad acquistare il libro in fretta per poter dire la nostra ed eventualmente smentire quanto commentato da altri, contribuendo ad arricchire più possibile i commenti e dare sempre più spunti di confronto al pubblico online.